HashTag # InnovaciónPolítica behaviour during the Latin American Meeting of Democratic Innovation in Pasto, Nariño. Colombia in January 22, 2018. Twitter.For the past decade, as trust in institutions has declined around the globe, politics in many countries has seemingly turned into a contest pitting self-interested “elites” against everyone else. And as the conviction that “elites” don’t represent the interests of “the people” has become increasingly common, two alternative ways forward have become ascendant, too. One path is rooted in populism and represented by the building of walls, both literal and figurative. The other is inclusive, and founded on collaboration and trust. At Instituto Update, we aim to help people choose the inclusive option by rebuilding and fostering collaboration and trust between citizens and their governments. A 20th century model of government is slowly but surely giving way to more participatory and inclusive democracies in the 21st century. After years of authoritarian rule in many countries, a wave of political innovation is sweeping across Latin America. A 20th century model of government is slowly but surely giving way to more participatory and inclusive democracies in the 21st century. No longer do Latin American citizens and governments have to rely on trends and practices in the United States and Europe. The world can look to Latin America as a source of inspiration for how citizens can reclaim and advance democracy. There’s a sense that it is being done better and differently in Latin America because that’s the only way to tackle its most deeply rooted problems, including economic inequality, social injustice, corruption, racism, sexism, and environmental degradation. For example, Instituto Update conducted a massive amount of research in Latin America and discovered more than 600 initiatives that are trying to close the gap between citizens and governments by increasing political participation, improving transparency and accountability, encouraging innovation in government, and doing more to develop independent media. We also interviewed nearly 300 activists, civil society leaders, politicians, and scholars working to improve politics and governance. One outcome of this project is a four episode television series called Política: modo de usar (A How-To Guide For Politics), which was broadcast on Globo News, Brazil’s largest news channel, in November 2017. Based on the interviews, we discovered five principal ways in which Latin Americans are developing, experimenting, and implementing new tools and methods to boost political participation and trust in government and the political process. Citizens are developing innovative ways to mobilize resources and pressure elected officials and bureaucrats in order to pursue public policy change. First, citizens have taken it upon themselves to push for social change. From protests such as the Secundarista Movement in Brazil, where students pushed for educational reforms in São Paulo’s public high schools (the movement later spread across Brazil), to #YoSoy132 in México, in which students protested political corruption during the 2012 presidential election), citizens are developing innovative ways to mobilize resources and pressure elected officials and bureaucrats in order to pursue public policy changes. Second, political activists are discovering new and better ways to explain complicated public policy to their fellow citizens. From the Latin American feminist movements demanding reproductive rights and bringing attention to the issue of domestic violence—#PrimaveraFeminista, #NiUnaMenos—to Pimp My Carroça, a Brazilian organization that uses street art to raise the profile of those who collect recyclable materials, and GregNews, a comedy news show (basically Last Week Tonight with John Oliver in Brazil), activists and organizations are using social media and humor to bring citizens closer to public interest issues. Third, elected officials are making an effort to make institutions more participatory and inclusive. Efforts ranging from DemocracyOS (Argentina) and LinQ (Ecuador) to Brazil’s Internet Bill of Rights and the Nariño state government’s GANA (Colombia) have made great strides in mobilizing people and giving them a voice in the policymaking process. For example, in Brazil, the Ministry of Justice, in partnership with NGOs and civil society, sought buy-in from citizens on its internet law through online engagement and a lengthy comment period. Civil society organisations are using well-developed online tools and well-organized public protests to insist on transparency from even their own supporters in government. Fourth, civil society organizations are combining open data and technology to monitor and hold politicians and corporations accountable. Groups like Paraguay’s A Quienes Elegimos, Argentina’s Chequeado, and Chile’s Del Dicho al Hecho using well-developed online tools and well-organized public protests to insist on transparency from even their own supporters in government. And finally, there’s a recognition that politics across Latin America needs new voices and new people to get involved. Today, movements such as Mexico’s WikiPolítica and Brazil’s Bancada Ativista, as well as new political parties like Chile’s Revolución Democrática and Argentina’s Partido de la Red, are working to make politics accessible, cool, and honorable to a new generation of activists. Part of Instituto Update’s effort is to foster connections between citizens and public institutions. Together with Democracia en Red, Asuntos del Sur, Avina, and Ciudadano Inteligente, we have been building regional alliances to connect and exchange ideas and lessons learned on how to improve governance and politics throughout Latin America. 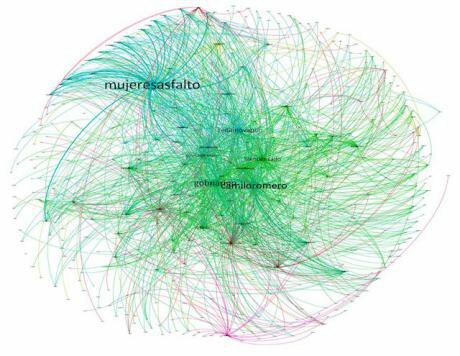 Red de Innovación Política and Conexiones Latinoamericanas de Innovación Política are concrete examples of this collective effort. Instituto Update will continue to be at the forefront of these efforts to democratize Latin American politics and to improve accountability. Looking ahead, we’ll be focusing our efforts to expand our work beyond São Paulo and into Brazil’s cities, so that our work is more accessible to all of Brazil’s citizens. And, since it’s an election year, we’re going to keep focusing on new and innovative ways to improve political participation. This article was previously published by OSF Voices. Read the original here.